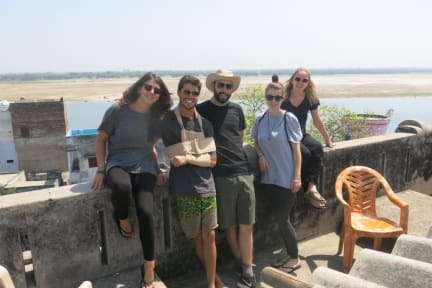 Suraj Guest House i Varanasi, Indien: Reservér nu! 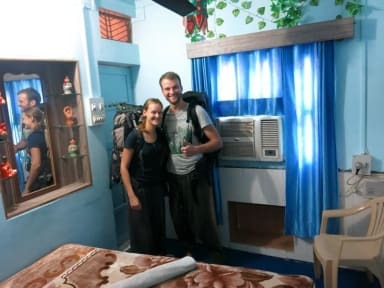 Hostel The Suraj is one of the best in varanasi Budget hotel providing all the basic facilities for backpackers,,The Suraj is situated in a quiet alley of right inside the heart of varanasi, ...Within 2 minutes from the holy ganga river..Within 5 to 10 minutes from the main road and auto stand..feel the capital breathe right into you at Suraj.. It's a place for community, friendships and fun. We have an obsessive affair with travel and a soft spot for everything that moves with a backpack.